Home / Blog / What is a short sale? What is a foreclosure? How are they different? 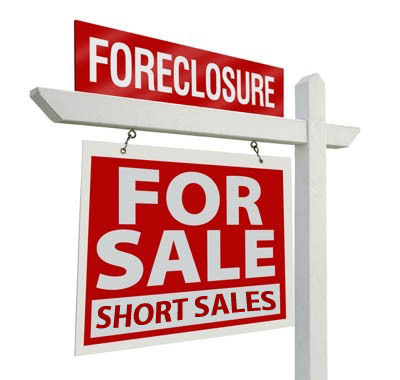 We often hear or read foreclosure and short sale lumped or cited in housing market reports. These two real estate terms, however, are totally different though they have an interrelation. A foreclosure becomes imminent when a borrower misses mortgage payments for three to six months. If this happens, a notice of default will be recorded. And the borrower will be informed that the mortgaged property is facing foreclosure. A reinstatement period is given to the borrower to settle the debts and/or any other dispute. This period varies from state to state. With some giving borrowers as short as five days while others allow borrowers to settle up to 90 days. The missed mortgage payments also prompts a lender to file a lawsuit to assume ownership of the mortgage property. With this filing, the property concerned becomes a pre-foreclosure or a lis pendens foreclosure, meaning there is already pending suit on the mortgaged property. The borrower however still has the ownership of the property in lis pendens or pre-foreclosure. Being the owner, he/she has the rights to seek refinancing the property or sell it, which leads us then to what a short sale is. Borrowers resort to a short sale when they owe more than their house or property’s current worth on the market. They can resort to a short sale, i.e., sell their property, when they have fallen behind mortgage payments. They can do this too even if they are current on their loan. But, for one reason or another, want to sell house fast and cash in on whatever equity they have on the property. In a short sale, it is a must that the lender approve the deal. Lenders are not obligated to agree on the borrowers’ short sale, but they may find it advantageous because such a deal could mitigate costs for both parties. Borrowers are already out of the picture in the sale of completed foreclosures as the lender has already assumed ownership. Also called REOs (for real estate-owned) or bank-owned properties, these may be sold at an auction or via traditional real estate agents. Loan-delinquent borrowers obviously favor short sales, as with foreclosures, they’ve already lost property ownership. Moreover, a foreclosure badly ruins their credit score. In a short sale, the damage on the credit score of the borrower is typically lesser than that in a foreclosure. The caveat though is that by going on a short sale, borrowers would have to wade through lots of paperwork. Much of this burden could be lessened though if a real estate investor is involved in the short sale. At House Sold Easy, we already have solutions for property owners who need to sell house fast via short sale. With our experience of over 10 years in real estate investing, the short sales we handle could be expedited in as short as two weeks. Just with a short walkthrough of a property, we can already make a fair assessment of a home’s value and quickly proceed with a cash sale if your lender is willing. Check out our tried and tested approaches on short sales. Call us at 636-525-1566.